When regulators try to limit bonuses, finance lobbyists retort that they will not be able to retain top talent who boost their firms’ performance. The European Union will soon impose a cap on bonuses, which shareholders can set at a maximum of double the base salary. The UK government is attacking such a cap in the court with legal arguments, but mostly because it fears an exodus of bankers from the City and a loss of competitiveness for those who remain. The Wall Street article says two things that are worth analysing to show how insane the bonus system has become. First, bonus packages for traders and investment bankers in America will get a boost from the last two months of 2013 because of a late year rally on the New York stock exchange. Surely those traders did not suddenly discover their extraordinary skills at the end of October, and their talents have not magically changed compared to the first ten months of this year, right? They are the same people with the same skills and judgements as before the market rally. Their bonus gets a boost not from their individual contributions during the last two months of the year; they get a boost because the stock market picked up. Second, the Wall Street article says that bond traders will have a lousy bonus year, whereas they commanded the biggest rewards in the past because of the bull market in fixed-income products. Let’s rephrase this. If you are an excellent bond trader at a time when bond markets tank, your bonus tends to go down. If you are a so-so stock trader, you can still be lucky because you happen to be in the job when stock markets soar. Again, the bonus is not performance related in the sense of a reward for individual contribution and talent. It is performance related in the sense that the market goes up or down. One UBS expert is quoted as saying that “the winds of favour have really shifted” against bond traders and towards stock traders. So no matter your sailing skills, your bonus depends in part on the wind that brings you back to the port. The bonus lobbyists argue that rare-to-find talent will leave London because of EU rules and go to New York or Singapore. But research shows that people do not just move between companies because one pays more than the other. And the idea that there is a limited pool of talent out there is bogus. Bankers are not sports stars with exceptional muscles and rare abilities. There are enough people who can be educated to become excellent at trading and making corporate deals happen. So any departure can be compensated by new recruitment. This is even truer as bonus advocates constantly refer to a need for high pay to attract the best in a global labour market. If the pool of candidates is truly global, there are thousands and thousands of suitable candidates out there. One quote in the Wall Street article by a recruitment specialist is revealing and absurd at the same time. Bond traders say “they are working three times as hard for a third of the compensation”. 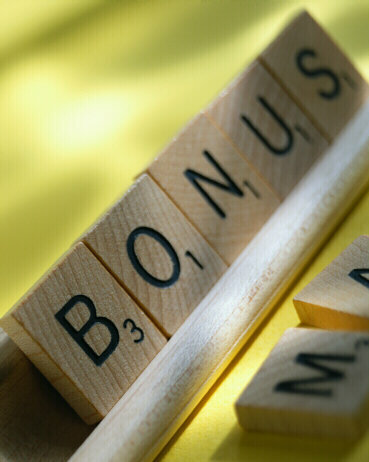 Bonuses are not about rewarding hard work or retaining people with exceptional judgement in the firm. If they were, traders operating in the more difficult conditions of a bear market would get more pay than those who are just running with the bulls.